It’s Halloween but don’t be afraid! We’re be having such fun using hand made paper, rubber stamps, stickers, dye-cuts of holiday symbols and more. 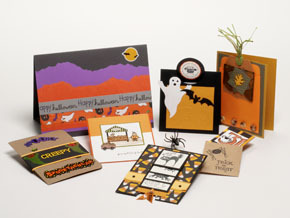 This will be spooktacular fun and you will leave with cards to send your friends and family.